I am a big popcorn fan. These are my latest obsession. 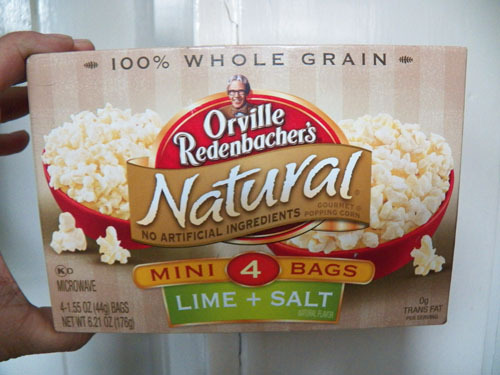 Orville Redenbacher's Natural. They have salt + pepper too which is also tasty!